Seroquel - generic quetiapine fumarate - is classed as an atypical antipsychotic medication. It is used to treat psychotic symptoms of such illnesses as schizophrenia and schizoaffective disorder, including hallucinations, delusions, catatonia, and paranoia. It is also approved for use in treating acute manic episodes of bipolar disorder with or without psychotic features and has some antidepressant effects. 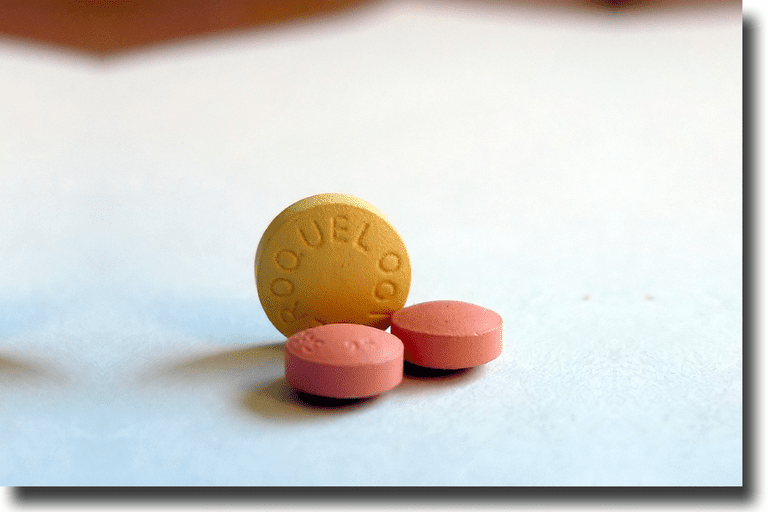 Seroquel may be used adjunctively with Lithium or Depakote in the therapy of acute mania. Neuroleptic Malignant Syndrome (NMS), a potentially fatal illness whose symptoms include high fever, muscle rigidity, profuse sweating and dark urine. Read more: Neuroleptic Malignant Syndrome. Tardive Dyskinesia, a movement disorder that may not go away unless treated promptly. Symptoms include uncontrolled movements of the lips and tongue. High blood sugar and diabetes. Patients who have diabetes mellitus or have risk factors such as obesity and family history of diabetes should have fasting blood glucose tests before beginning treatment with Seroquel and at regular intervals during treatment. Also, patients may experience sleepiness and impaired motor control (difficulty walking, etc.) especially at the beginning of treatment with Seroquel. The usual warning about not driving or operating heavy machinery is important with this medication. Seroquel carries the standard black box warning required for all antipsychotics regarding increased risk of death in elderly patients with dementia-related psychosis. It is recommended that Seroquel treatment is discontinued during pregnancy. Women taking Seroquel should not breastfeed their infants. Do not drink alcoholic beverages while taking Seroquel.